« It was Data Privacy Day… our warmest congratulations! 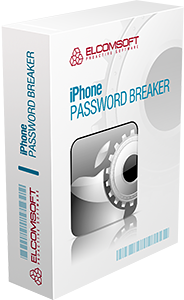 Today we are pleased to unveil the first public beta of our new product, Elcomsoft iPhone Password Breaker, a tool designed to address password recovery of password-protected iPhone and iPod Touch backups made with iTunes. In case you do not know, iTunes routinely makes backups of iPhones and iPods being synced to it. Such backups contain a plethora of information, essentially all user-generated data from the device in question. Contacts, calendar entries, call history, SMS, photos, emails, application data, notes and probably much more. Not surprisingly, such information manifests significant value for investigators. To make their job easier there are tools to read information out of iTunes backups, one example of such tool being Oxygen Forensic Suite (http://www.oxygen-forensic.com/). Such tools can not deal with encrypted backups, though. Starting with iTunes 8.2 and iPhoneOS 3.0 (that is, June 2009) it became possible to protect iTunes backups with a password. After you specify protection password, no backup data leaves or enters device unencrypted. That is, contacts, emails, photos, etc. are encrypted on the device, transmitted encrypted over USB cable, and saved encrypted on hard disk. Apparently, such backups exhibit much less value for investigators. This is where our tool comes into play. Given a password-protected backup, it can run various password recovery attacks, trying thousands passwords per second. Unquestionably, it supports multi-core CPUs, extended CPU instructions, and acceleration using GPU cards (only NVIDIA for the moment, ATI and friends coming in a month or two). Technologically, the product is pretty cool (and it’s going to become better). However, this is an early beta and it obviously lacks some functionality. You cannot pause/resume recovery. You are limited to wordlist-based attacks only. It is no way bug-free and it will expire on March, 15 after all. Still, you are invited to give it a try. You can download it at http://www.elcomsoft.com/eppb-beta.html. Please submit your feedback to iphone at elcomsoft.com or use “Help ➯ Send feedback…” menu command from within program itself. Bug reports are welcome, so are suggestions and feature requests. Top contributors will receive iTunes gift certificates, free software licenses and discounts. This entry was posted on Thursday, February 4th, 2010 at 9:00 am	and is filed under Elcom-News, Security, Software. You can follow any responses to this entry through the RSS 2.0 feed. Both comments and pings are currently closed. audio songs existing at this web page is genuinely marvelous.